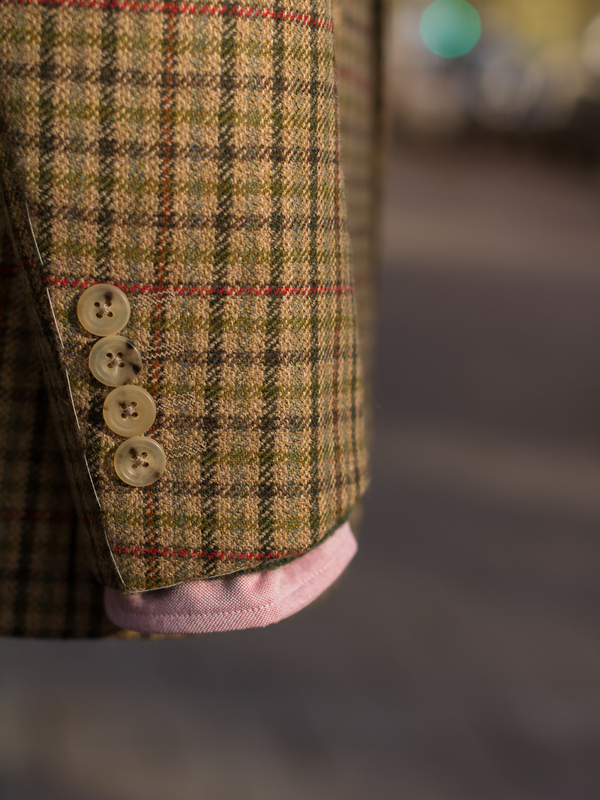 This is a shortrun midweight beige gunclub tweed from Lovat Mill in Hawick, Scotland. Only 21 meters woven and enough for the 9 jackets made for us by Bladen. 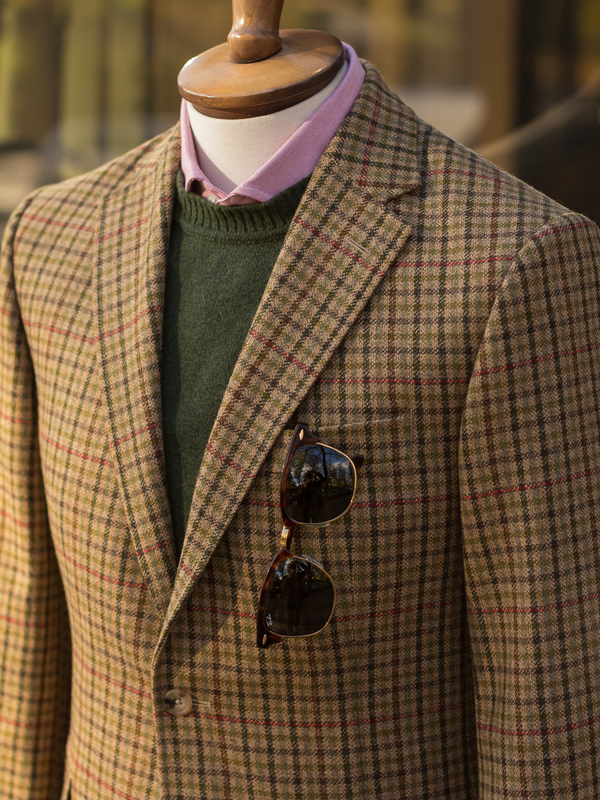 Gunton is a slightly shorter soft structured jacket with natural shoulders and trimmed down sleeves for a tailored look, this season updated with wider lapels and more hourglass shape. Half lined. 100 % wool Lovat Mill 430 grm tweed. Natural horsehair canvas interlinings with minimal padding. 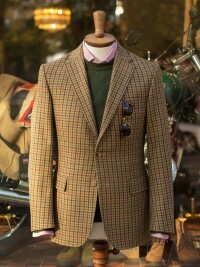 2-buttoned jacket. Straight pockets. Double vents. Tailored fit with a pronounced waist, natural shoulders and fitted sleeves. Half lined with Bottle Green Cupro Bemberg. 4 inside pockets. Button hole with flower loop. 4-buttoned cuffs. Light brown real horn buttons. Professional dry clean only. This jacket is a more fitted jacket but still true to size, please choose your normal size. 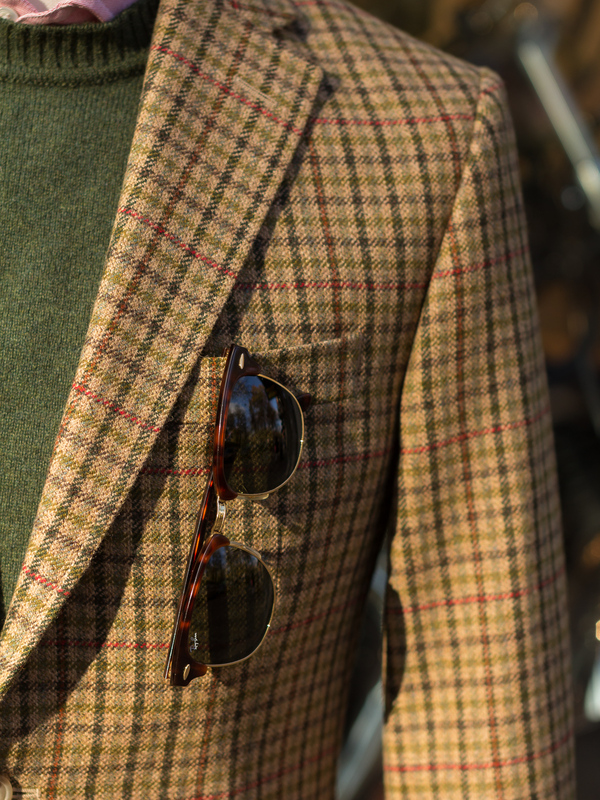 Shorter length makes long sizes an option for taller gentlemen. 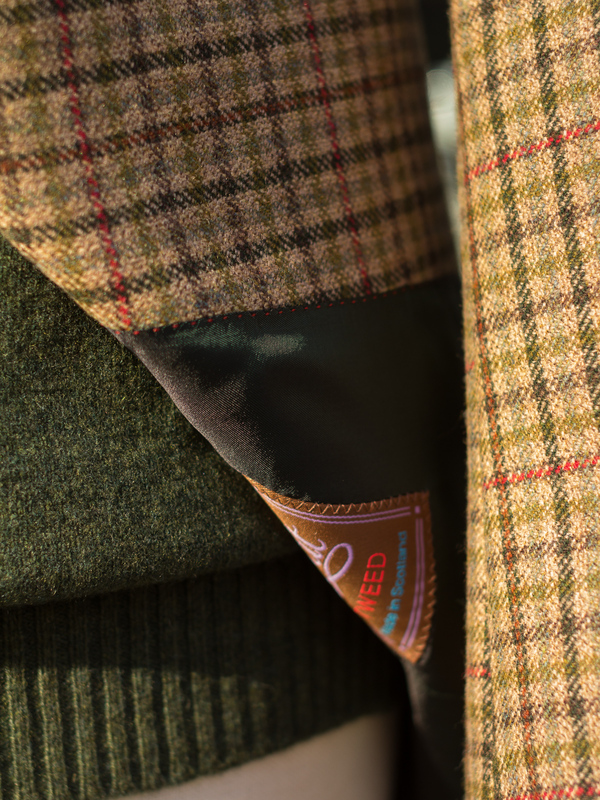 Since 1917 Bladen has made country clothing for the discerning gentleman. A very British brand for those wanting only the best. Made to measure service is available for unique garments with a perfect fit.